Roses are red, violets are blue, I couldn’t do this if it weren’t for you! Thank you for sharing this adventure with me. Wishing you an early, but happy Valentine’s Day! 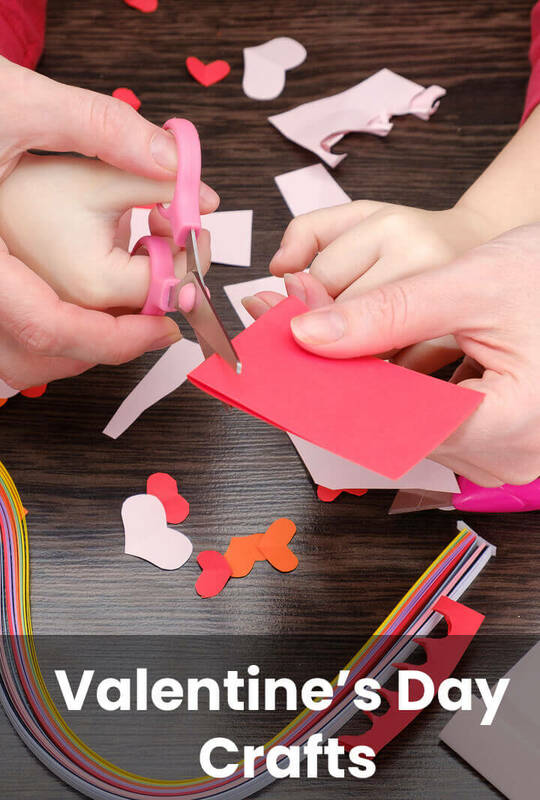 The Valentine ideas from All Free Crafts are the perfect combination of easy, inexpensive and creative, and they don’t stop with kids crafts. They also include Valentine crafts for grownups, recipes for romantic dinners, and tips on romancing your spouse. My favorites from the kids section include Painted Rock Refrigerator Magnets, a Valentine Candy Dish (made with salt clay) and a Valentine Keepsake Scroll with hand-print roses. All the crafts are illustrated with photographs, making it easier to decide which ones you want to try. The Valentine Craft selection at Disney Family is full of unique ideas with large photos and well-written instructions. Elsewhere on the site, you’ll find ideas for Valentine’s Day parties, Valentine cookie recipes, and craft ideas for the rest of the year. “If you haven’t any charity in your heart, you have the worst kind of heart trouble.” ~~ Bob Hope ~~ (May 29, 1903 – July 27, 2003) American actor and comedian. Check out more quotes about charity here: https://www.lightafire.com/quotations/charity/.